Earlier this year, even National Geographic stopped so low as to suggest anyone who questions water fluoridation is a conspiracy theorist.1 Yet, just last year Lancet Neurology released a study, authored by a Harvard doctor, among others, that classified fluoride as a developmental neurotoxin.2 Read more…. This entry was posted in Fluoride Poison, Food & Water on July 25, 2015 by Editor. Clarksburg, West Virginia—Water Board members voted 2-1 last week to end fluoridation due to the growing number of studies showing negative side effects. The decision by the Clarksburg board will also end fluoridation for the city of Bridgeport and a number of other smaller communities. Oneida, New York—On Tuesday the Common Council voted 5-1 to reject fluoridation for the third time since 2002. For months, the council has held public hearings and debates on fluoridation, listening to an array of experts on both sides of the issue, including FAN’s Dr. Paul Connett and NY Dept. of Health’s Dental Representative Jay Kumar, who is a long-time promoter of fluoridation. Despite an aggressive lobbying campaign by the fluoride-lobby, the council and community couldn’t be ticked into believing that the practice was safe, effective, or necessary. 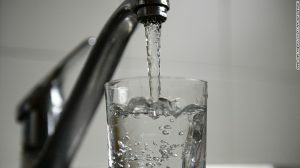 Kingsville, Ontario—This Canadian City Council passed a motion last week reaffirming its stance in opposition to fluoridation. The issue was raised by the former Deputy Mayor, who urged the council to pass the motion to send a message to the provincial government, which is considering mandating the practice. The community of Lakeshore, Ontario also recently publicized their opposition to fluoridation, and will be sending a letter to provincial officials opposing a mandate. This entry was posted in Articles & Breaking News, Fluoride Poison on May 7, 2015 by Editor. 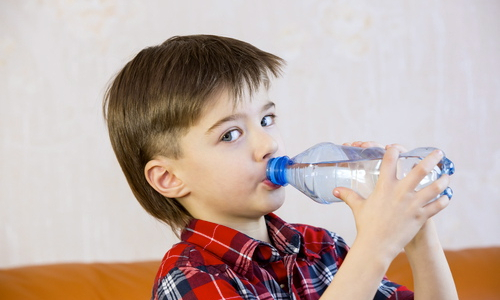 Second Look Website provides scientific and medical information on fluoride poisoning and related health effects in individuals. In recent years, they have been concentrating efforts on their developing program, The Fluoride Toxicity Research Collaborative (FTRC). This unique program seeks to help individuals suffering from fluoride illness, both chronic and acute.. Go to the FTRC WebCenter for more information about fluoride poisoning and suggestions for how you can help yourself. This website has started a very special FTRC project: an online listing of fluorinated pharmaceuticals. This entry was posted in Fluoride Poison, Food & Water, Medical information and Research Data, Recommended Websites, RESEARCH, STUDIES, DOCUMENTATION on March 22, 2014 by Editor. Why ethyl mercury — the kind found in vaccines that the pro vaccine apologists say is safe — is actually many times more toxic than methyl mercury which pro vaccine apologists says is unsafe. American Dental Association recommends using fluoride to poison infants as young as six months old. They are now calling on parents to begin using fluoride-filled toothpastes on their toddlers by the age of six months, according to a press release from the organization. VLA Comment: Brought to you by the purveyors of Mercury amalgams. This entry was posted in Articles & Breaking News, Fluoride Poison, Medical information and Research Data, RESEARCH, STUDIES, DOCUMENTATION, You are being poisoned on February 18, 2014 by Editor. This entry was posted in Fluoride Poison, Wake up Films & Documentaries and tagged Fluoride, Inconvenient tooth on January 21, 2014 by Editor.